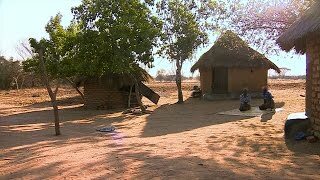 (Harare, January 24, 2017) – Widows in Zimbabwe are routinely evicted from their homes and land, and their property is stolen by in-laws when their husbands die, Human Rights Watch said in a report released today. The government of Zimbabwe should urgently take steps to protect widows from this practice. The 52-page report, "'You Will Get Nothing,' Violations of Property and Inheritance Rights of Widows in Zimbabwe," found that in-laws often tell women shortly after the deaths of their husbands that the relatives intend to take over the homes and lands or other property where the husband and wife had lived for decades. One widow quoted her brother-in-law's words to her after her husband's funeral, in front of the family that had gathered: "He said in my face, 'You are rubbish and you will get nothing. I am taking everything.'"